I've had these two documentaries - Visual Acoustics : The Modernism of Julius Shulman and Objectified in my Netflix queue for some time and I finally got around to watching them. 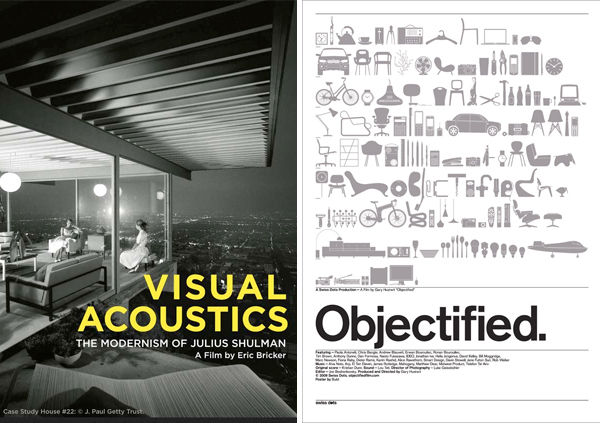 If you are interested in architecture, photography, and design these are both outstanding ones you may want to put on your list. Have you seen them? What have you been watching lately? Just saw Objectified and loved it. Also see Helvetica. It has a nice history of the typeface. yes I love Objectified! I can't wait for the 3rd part of Gary Hustwit's documentary films. Its about urban design.